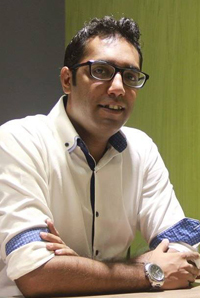 Saad is the Co-Founder and C.E.O of MyBankersOnline. Since 2010, he has spearheaded the venture, micro-managing the websites creation, content management and digital promotion. His profound grasp over the banking segment is complemented by his past experience with Standard Chartered Pakistan, where he played a pivotal role in the establishment and success of the Employee Banking segment in Lahore. Saad holds a BSc (Honors) Degree in Economics and Mathematics from Lahore University of Management Sciences. His in-depth knowledge of consumer banking and personal finance, coupled with an aspiration to digitize Pakistans banking sector, has played a fundamental role in the establishment and success of MyBankersOnline.